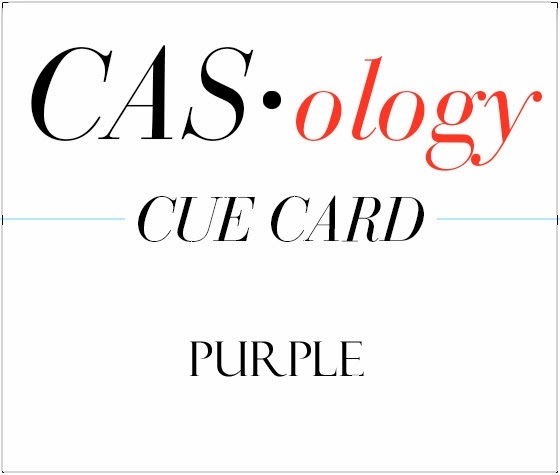 as our muse at CASE Study. I sure am going to be sad to see her go! I know I have really been keeping pretty closely with Donna's designs. 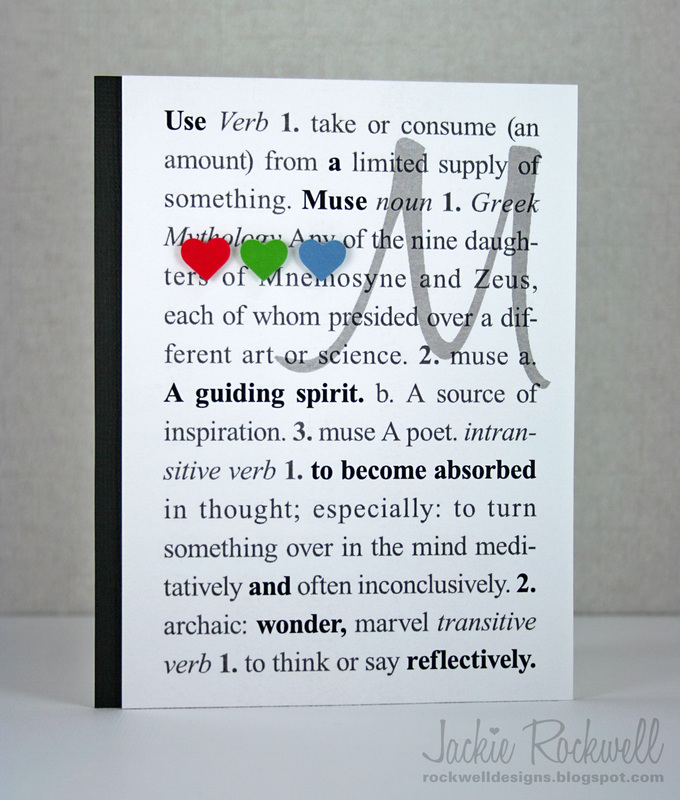 I have a little birthday card for you on this snowy (urgh!) Saturday morning, inspired by this week's Seize the Sketch Challenge. 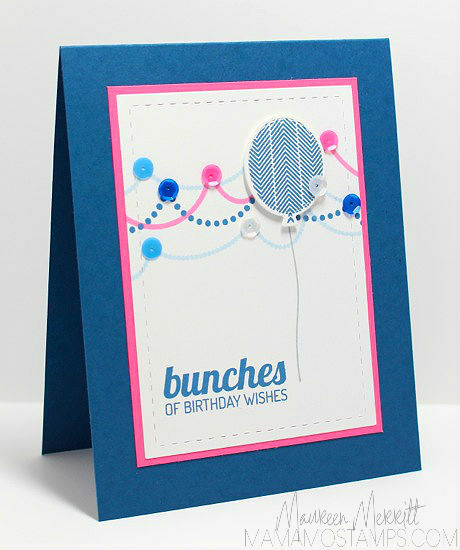 I used the Lil' Inkers Balloon Builders Stamp Set and Papertrey's Birthday Style set to make a party scene. 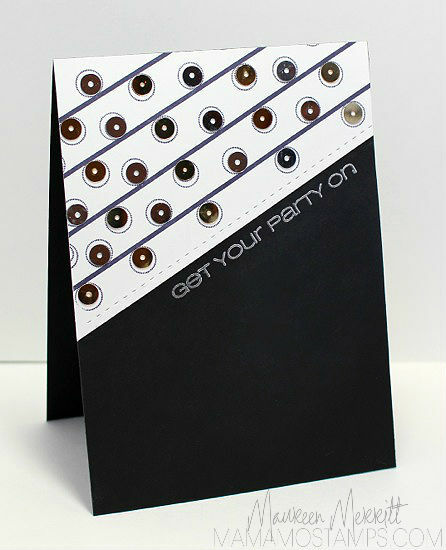 I think the sequins really added to the whole festive feel of this card! I love the variety of colors the Pretty Pink Posh store has to choose from! 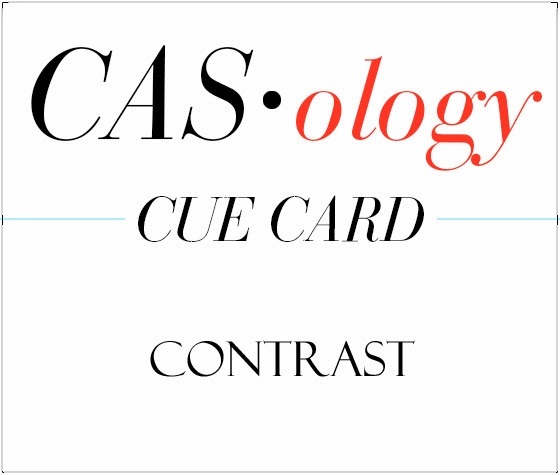 I actually had a color that matched each of the colors on my card, woot! 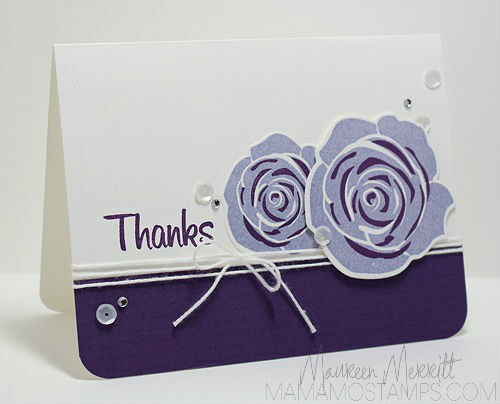 Here I've used Marshmallow, Pink Peonies, Cobalt & the Winter Snow Mix! 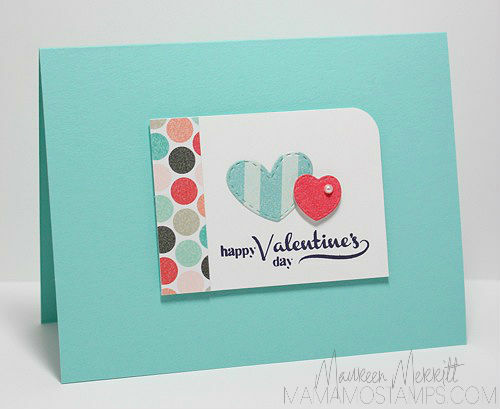 Speaking of color, what do you think about this color combo? I've been trying some new combos lately because I tend to use the same ones over and over. 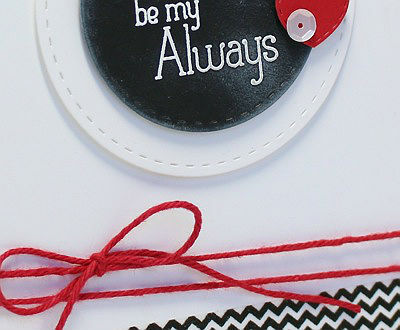 I'm not sure who I'd give this too, maybe a not so girly girl?! 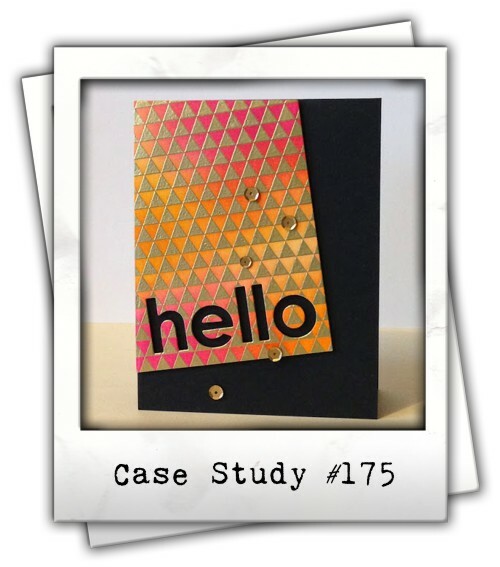 *Please scroll down or click here for my CASE Study #175 post. 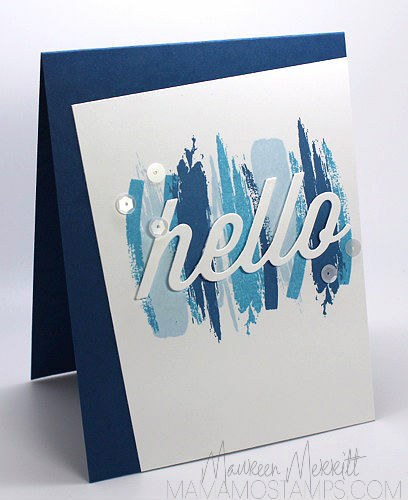 What an honor to be asked to be a Featured Artist/Designer at Paper Crafter's Library. 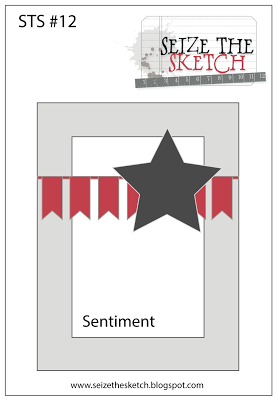 Here's a peek at the project I made for my feature. 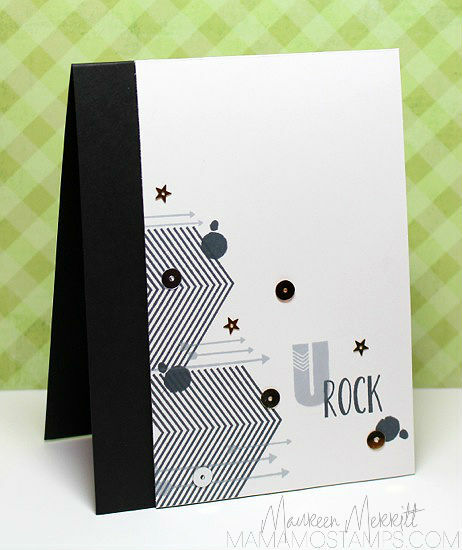 Click here to visit Paper Crafter's Library to view my full project & for tips on CAS design! I had some free time yesterday to play along with this weeks CAS(E) this Sketch! Challenge. I've been dying to try out my new CASual Fridays stamps. Having two boys taking music lessons, this set was a must for me, plus it's adorable & unique! I am absolutely addicted to Pretty Pink Posh Marshmallow Sequins. I can not get enough of them. I'm using them on just about every single card I make. Get used to seeing them A LOT in the coming weeks! **This is my second post today. 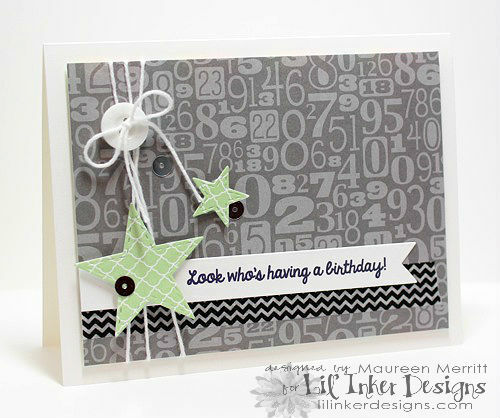 StampNation's 3rd Birthday Bash continues today with Lil' Inker Designs as our sponsor! 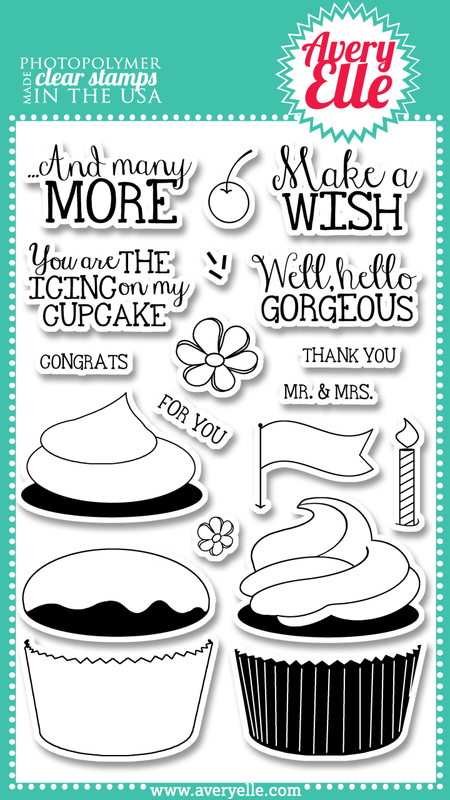 Laura, owner and boss lady over at Lil' Inkers, has given Catherine the Modern Mehndi stamp set & coordinating Modern Mehndi dies to give away! 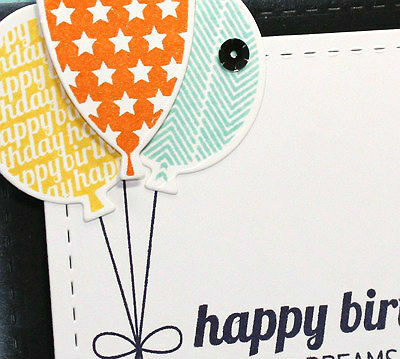 Plus the Spot On Stamp Set & the Connected Circle Dies. 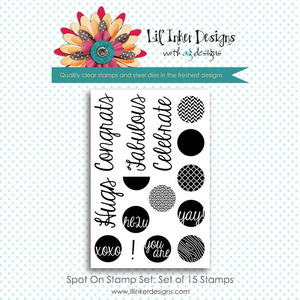 This awesome stamp set could be yours! 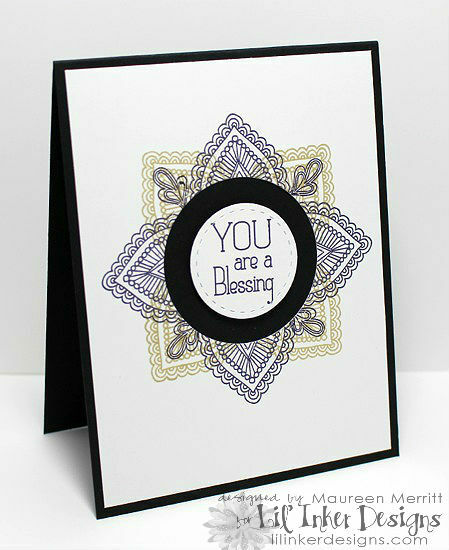 I just so happen to have posted 3 cards yesterday using Modern Mehndi. You can see them here. 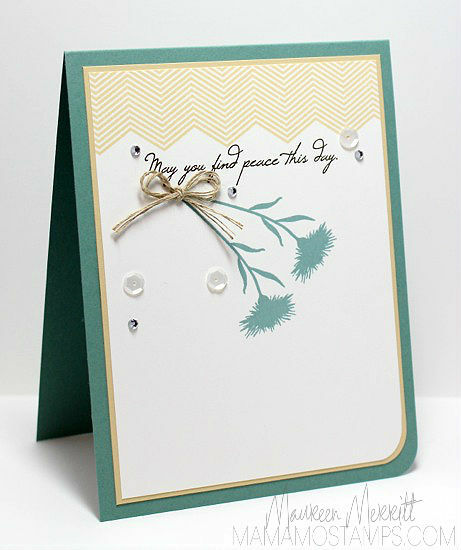 If you'd like a chance to win this set, click here and leave a comment on Catherine's YouTube channel. 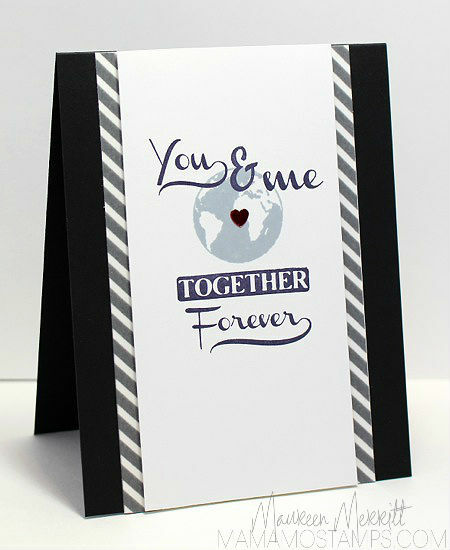 SN members mention that you are a member and you get two entries! Not a member yet, but want to learn more. 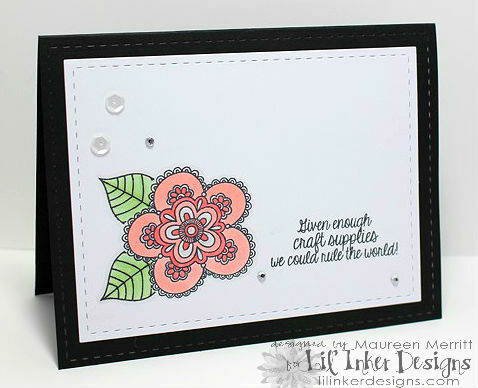 On to my card above...I've used the Lil' Inkers Stitched Star Dies and paired them with the Snarky Sentiments set. 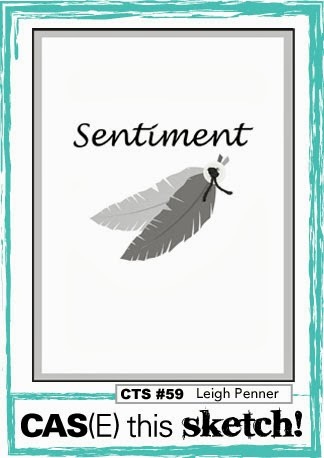 Snarky Sentiments cracks me up, there are the funniest sentiments in that set :) If you haven't seen it, you must check it out. 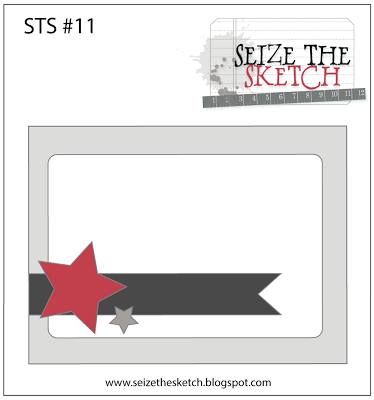 My design was inspired by Seize the Sketch. I think I have gabbed your ear off long enough! 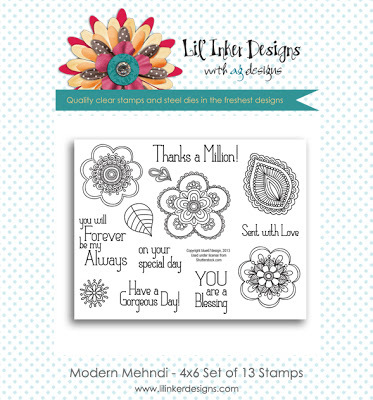 Make sure you leave a comment here to get a chance to win the Modern Mehndi Stamp Set & Modern Mehndi Dies! 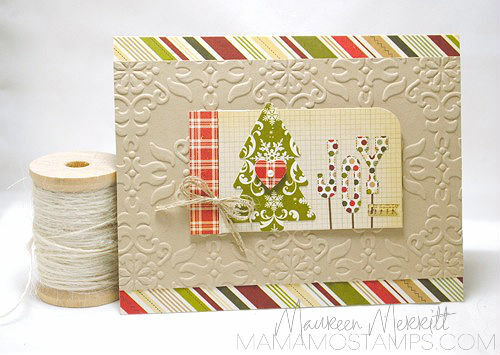 I can not even begin to describe how honored I am to be designing with such an amazingly talented group! WOW, I'm pretty much speechless! 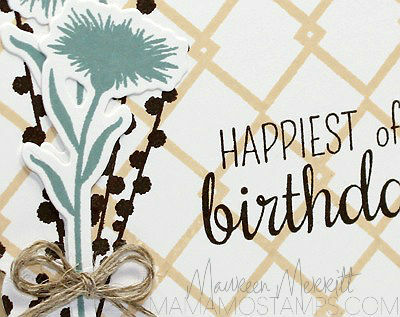 I may have gotten a bit carried away with my samples for the blog hop today, but once I got started, I just couldn't stop. You all know how much I love floral sets, right? Modern Mehndi is no different. 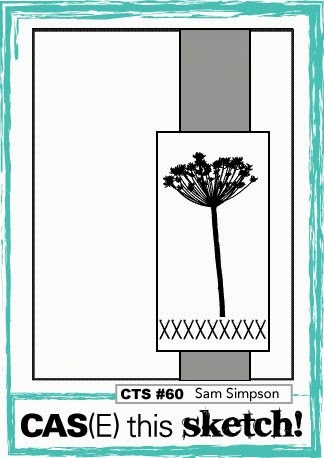 I used this set three different ways. 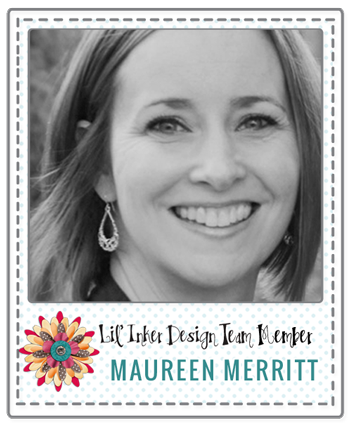 Go ahead, hop along and see who else is joining me on the Lil' Inker Design Team. 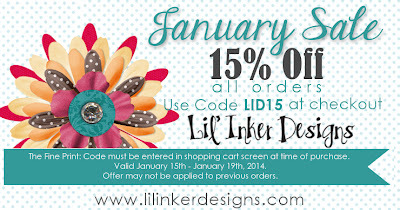 Laura is giving away one $15 Lil' Inker Designs store credit! 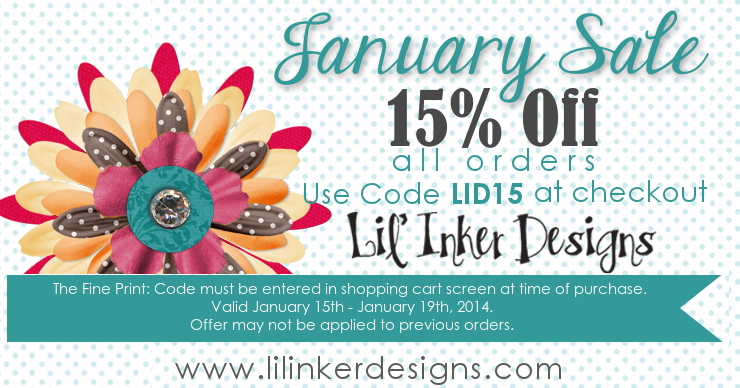 One more thing, now through January 19th you'll save 15% on all orders!!! 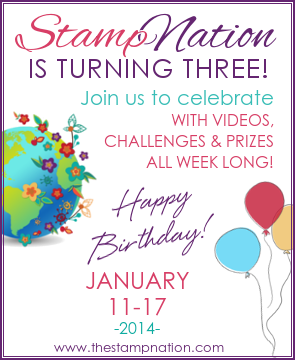 The StampNation Birthday Bash continues today with CAS-ual Fridays Stamps as the sponsor. 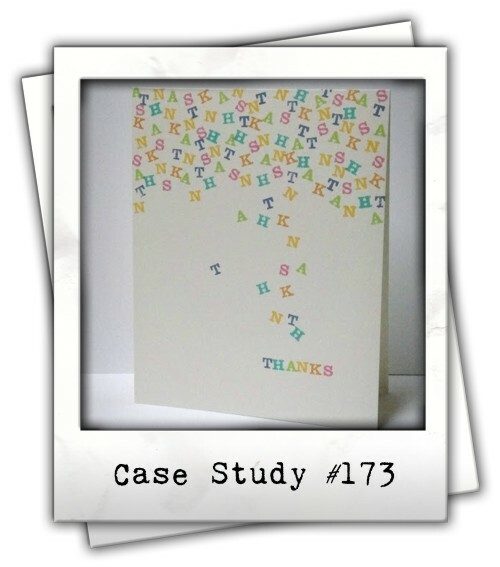 I used the Woot Woot set to make this fun & trendy card. 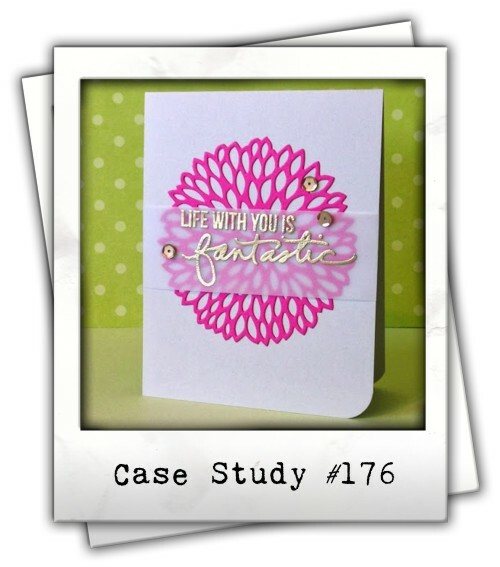 I think that CAS-ual Fridays fills a HUGE gap in the stamping industry. Their stamps are perfect for the tween boy population, which in my opinion, is seriously lacking by most other companies. 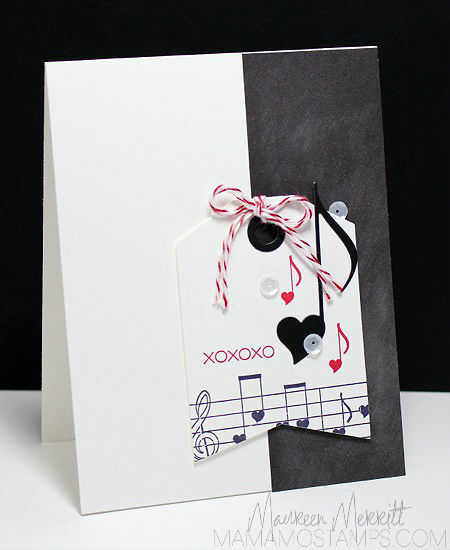 To make my card, I started by die cutting "On the Diagonal" by Lil' Inkers from Whisper White card stock. 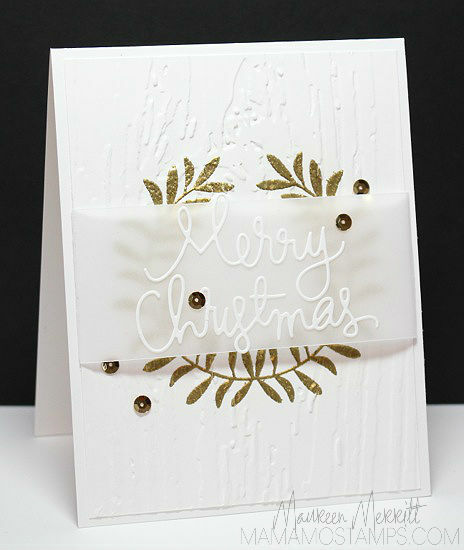 Next, I stamped the background stamp from Woot Woot on a diagonal and filled in each circle with Gold & Silver Sequins from Pretty Pink Posh. 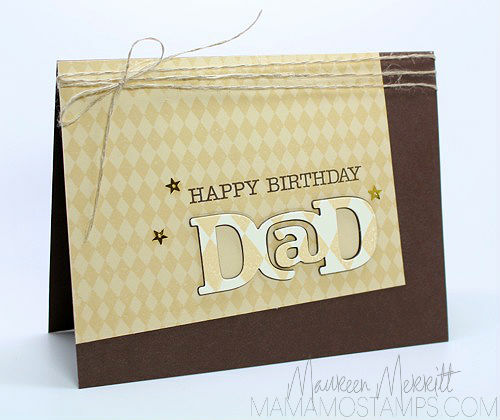 The greeting was stamped then heat embossed with Silver Embossing Powder. 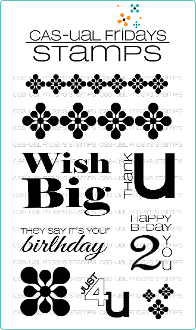 Do you want to add some CAS-ual Fridays Stamps to YOUR stash? 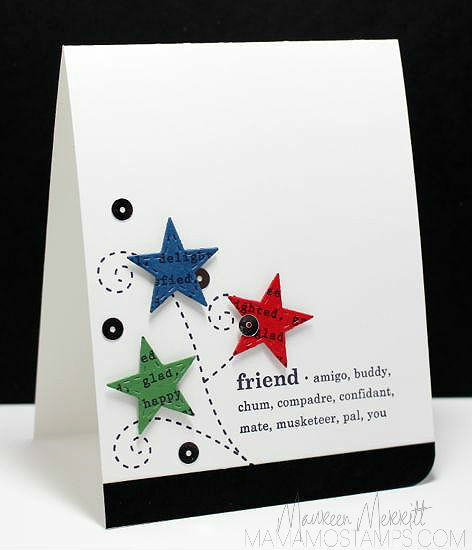 Catherine is giving away the Bold Wishes stamp set today. 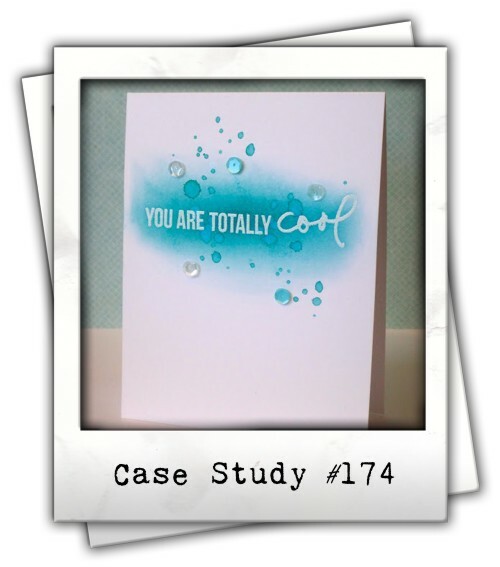 Visit her blog to find out HOW this set can be yours! Make sure you come back tomorrow, when we reveal our next Sponsor & Giveaway! 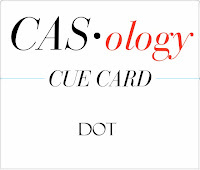 Click here to learn more about membership benefits! 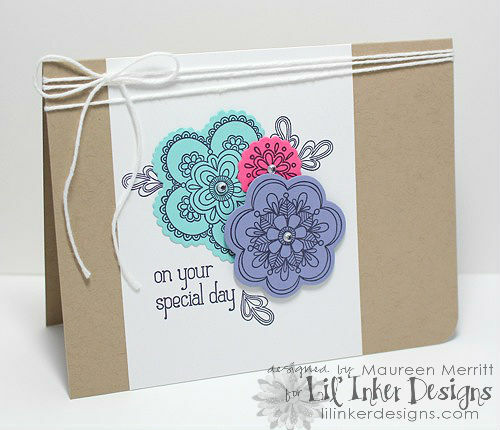 We also have a fabby Guest Designer, Erin from Homemade Cards by Erin! 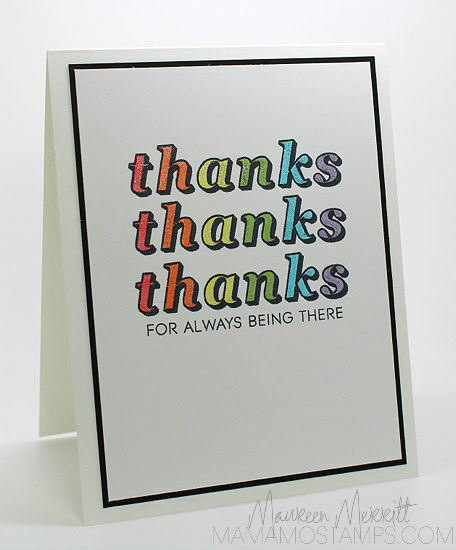 The colors & letters spoke to me, but I feel like there is so much that you can do with this design. 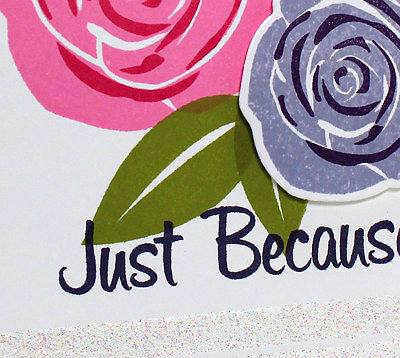 After stamping my sentiment, I colored each letter with Copic markers, then went over them with Wink of Stella for a little extra shimmer & shine! Today has been an exciting day! 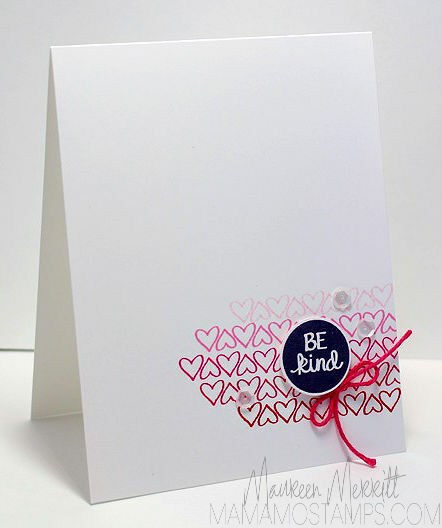 I've also opened my very own Mama Mo Stamps Facebook Page. 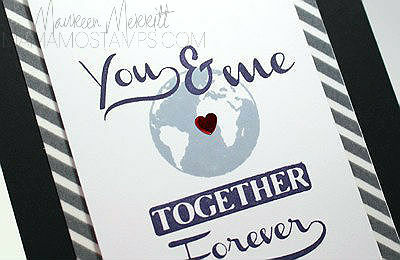 I would love it you'd "Like" my page. or you can click here!